Every morning we draw a card for the day and this morning we got ‘Receptivity’. A reminder that when our minds are too full of knowledge simple truths don’t fit in anymore. Modern science-based agriculture produces profits for multinationals but ignores obvious needs like sustainable soil health and nutritional value of the produce. 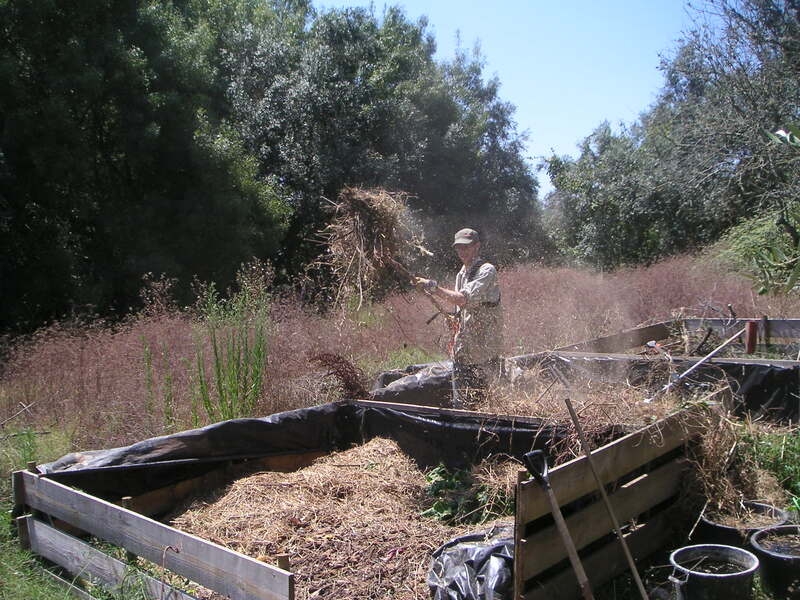 In the picture: Ernesto in action with mulch and compost for our organic garden. 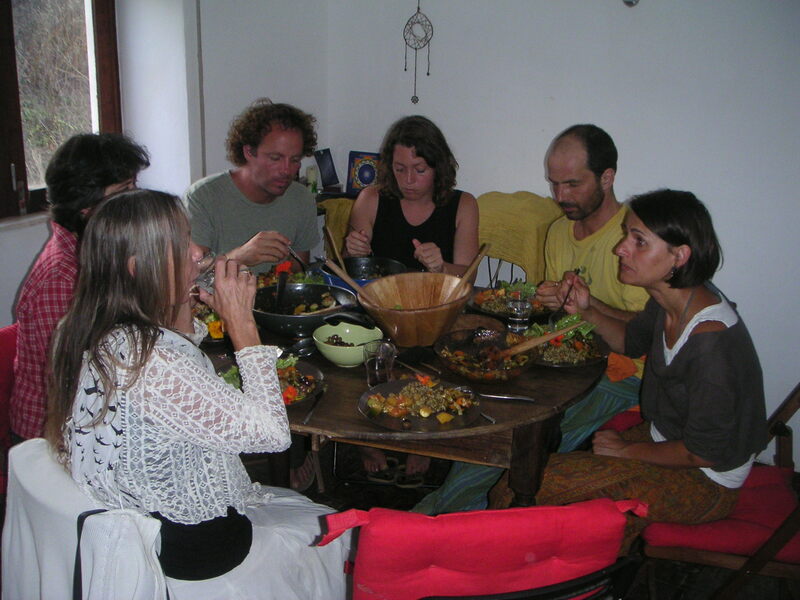 One of the characteristics of intentional communities like Osho Garden is that it is a new sort of primary group, sharing everyday life and facilities like a traditional family, but larger. These days it includes biological family, my oldest son Ernesto and his partner Jessica. They are from Holland and Australia and live in London. In this picture, taken by Jessica we are washing one of the safari tents in the river. Little is known about their origin but over a thousand were built during the Stone Age, probably for ceremonies, and they are now becoming popular again among New Age communities. 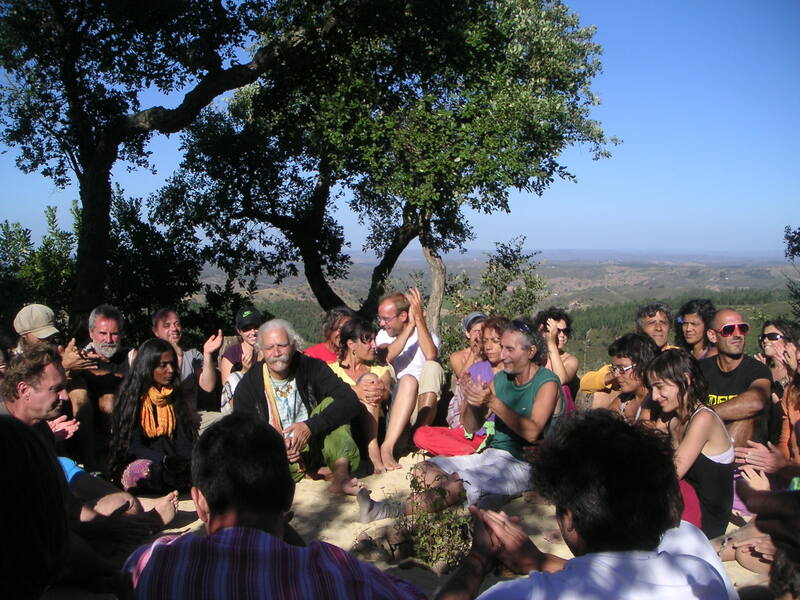 The recently completed Stone Circle at Pomar da Serra with a magnificent view over the Lower Alentejo hills was the site of a farewell ceremony yesterday (view on Youtube) thanking for a beautiful festival of music and meditation. Love evokes our deepest feelings and this song from the seventies that I recorded yesterday recalls the intensely beautiful times in the early days with Osho, lord of the full moon. It is full moon in July and we celebrated Guru Purnima day. 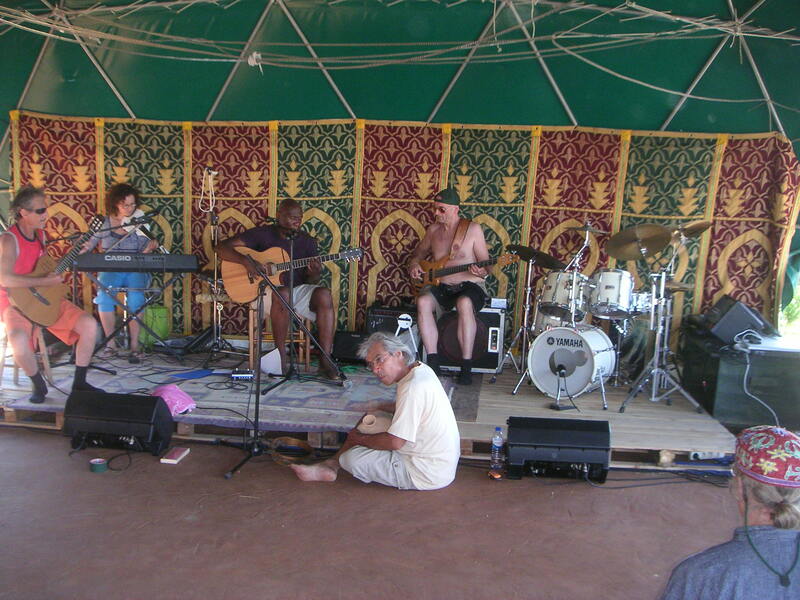 You can enjoy a few minutes of the celebrations by clicking on these links: Deep in Love, A Sufi song and Singing and dancing, recorded on Day 2 of the Osho Festival of Music and Meditation 2011. Listening to music, dancing, feeling one with the rhythm and the melody, can bring us in a wordless state of mind, light and joyful. 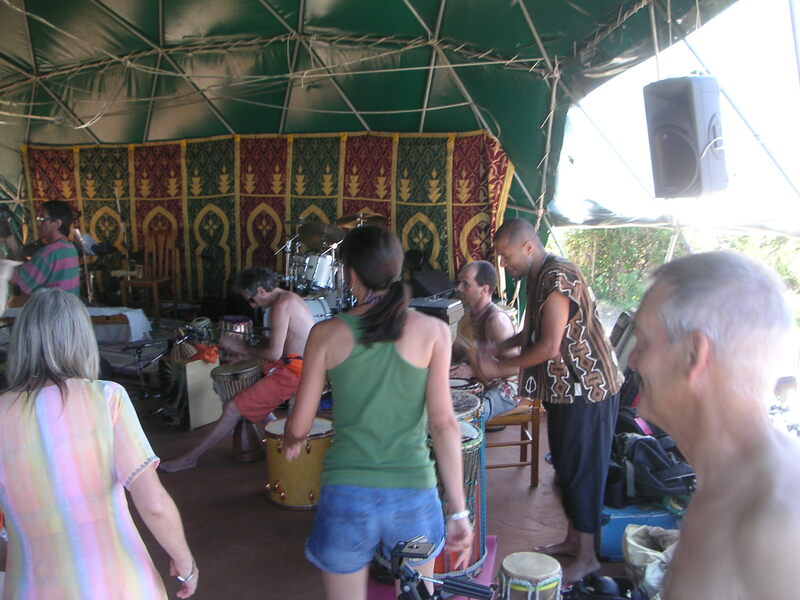 Click on this link if you want to connect for a few minutes with this space, sharing the life music during the dancing stage of the Osho evening meeting, yesterday at the opening day of the Osho Festival Portugal organized by our friends Nartan and Harida in the Nazca Music dome. Dinner meeting with Xicca last night about the vegetable garden, where most of this meal came from. Things taste so much better when grown in your own garden. It’s also day fresh and you are sure that it’s organic produce without any chemicals. In the picture Matthew (from the USA) and Marina (from Germany) who were here on a short visit, and at right Trisha (from Poland) who arrived from the UK last week. We are near the west coast of Portugal where the Atlantic Ocean washes onto some beautiful beaches, like this one that also features waterfalls coming down the cliffs, offering us a fresh water shower after our swim today. 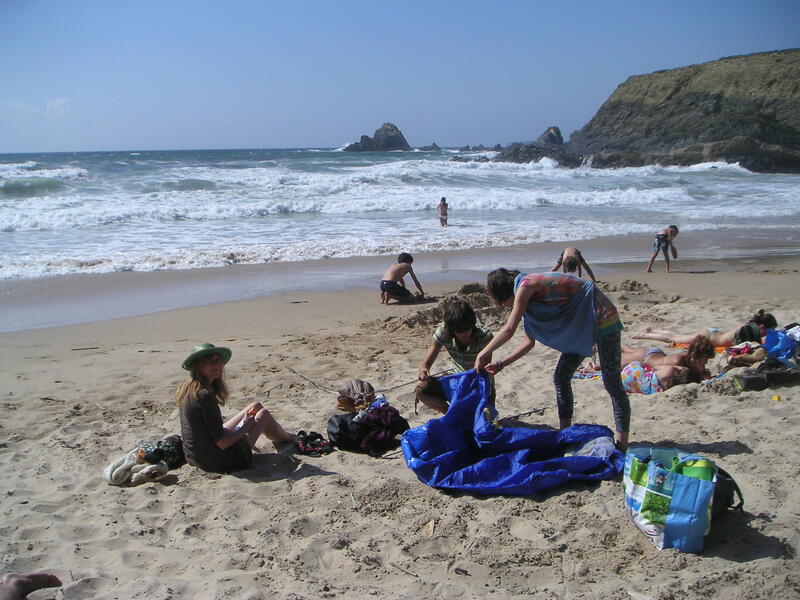 In the picture next to Satsavya you see Natalia from Poland who arrived a few days ago from the Netherlands where she now lives, setting up a beach tent together with Madara.